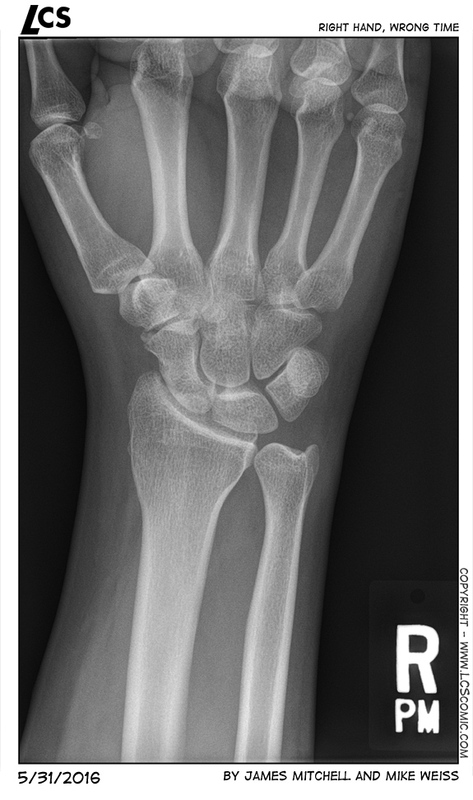 Mike: Okay, so that’s my right hand and what you can’t tell from the x-ray is that it’s all fucked up. I have been diagnosed with tendinitis and all I can draw, is pain. So I currently have no idea how long it will be until I can draw again. I will be trying to find some guest artist and as stated before, anyone can send their own strips and fan art to LCScomic@gmail.com and it may be posted on this site.